A dummy mirror blank used for fit-tests on the 4m Mayall Telescope at Kitt Peak National Observatory, Arizona. Painted by a local artist and displayed in the parking lot near the museum. 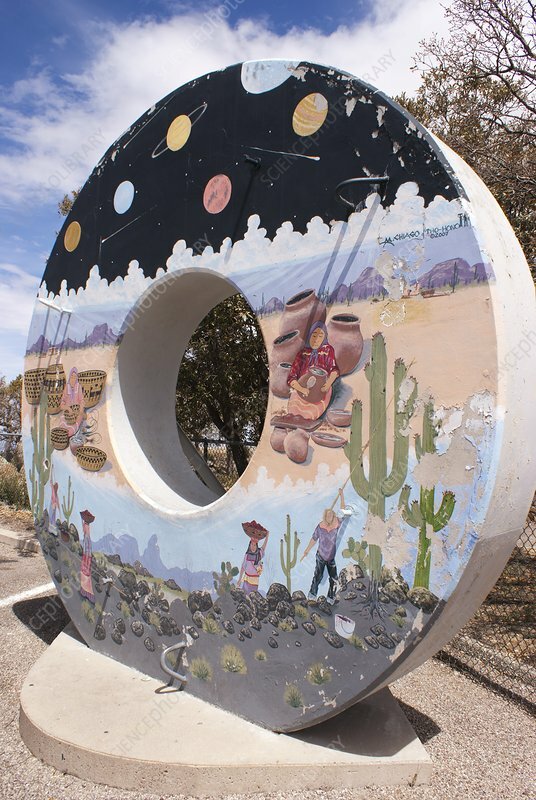 Among other things, it shows native American Indians farming the fruits from Saguaro cacti.